What is A-Frame Automated Picking? 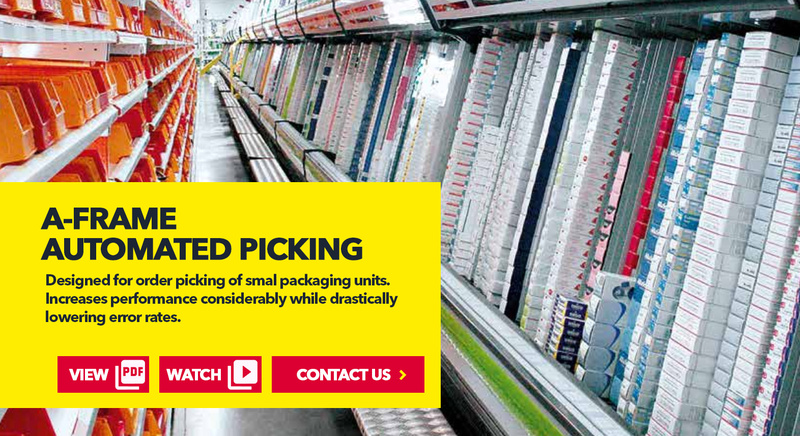 A-Frames are replenished during low load periods and carry out picking fully automatically during peak load periods. This also means that the personnel can be optimally allocated to warehouse activities. 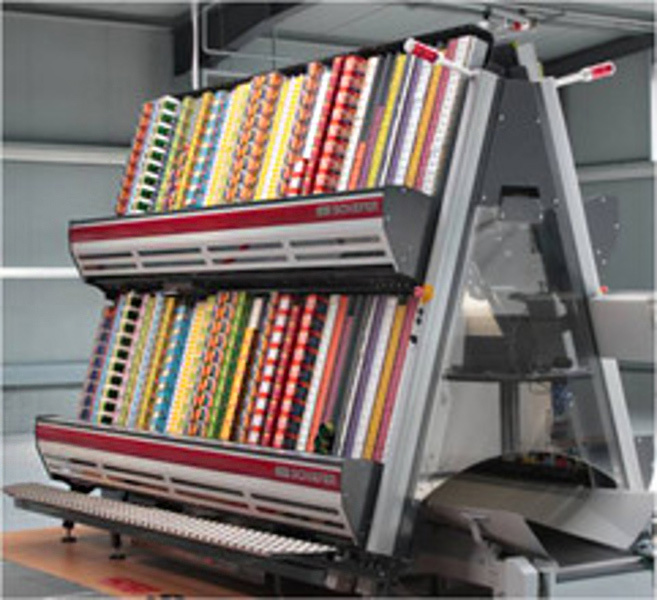 The SSI Schäfer picking systems provide for fully automatic and reliable compilation of complex orders in next to no time. 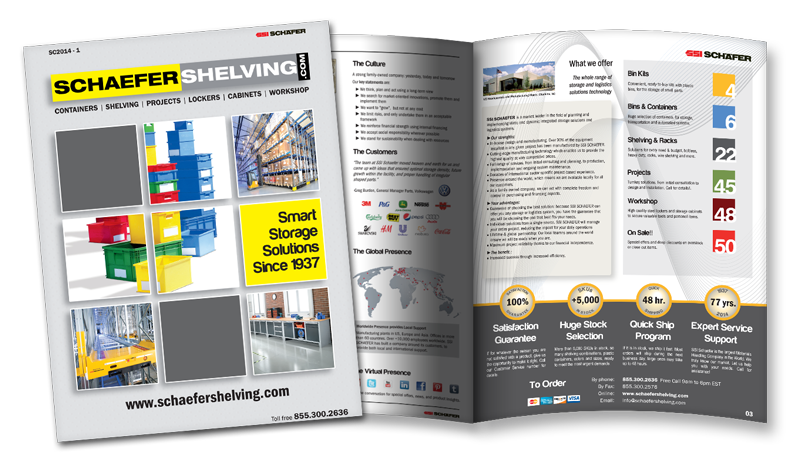 Extremely fast, high-quality order processing even at peak times guarantees maximum productivity and optimum material flow in your warehouse. The advantage of A-Frames is that replenishment and picking are separate. 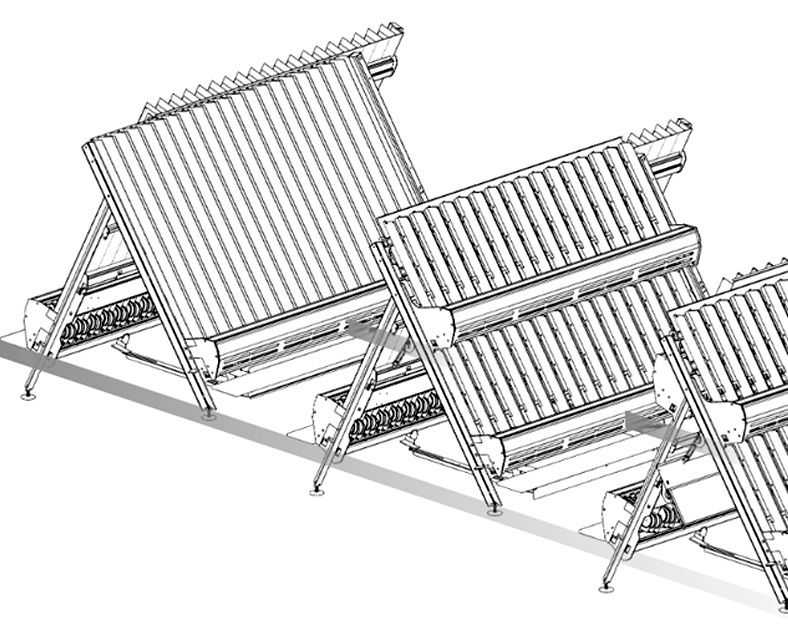 A-Frames are replenished during low load periods and carry out picking fully automatically during peak load periods. This also means that the personnel can be optimally allocated to warehouse activities. Depending on the type and turnover rate of your products, we will find the best solution that meets your needs. Benefit from many years of experience acquired through a large number of international projects, and the advantages of a complete range of services all from a single source. 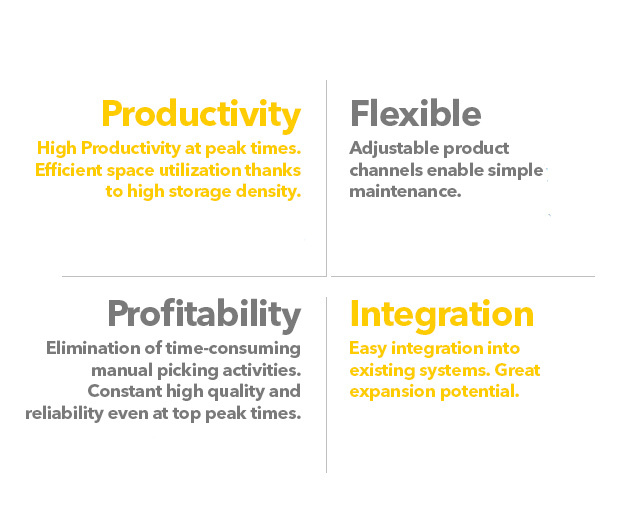 SFC-Pemat: With straight and inclined product channels on one level, channel control for 8 product channels each. MFC-Pemat: With straight and inclined product channels on two levels for each module side, channel control for 8 product channels each. K-Pemat: Dynamic rack for picking with bent or straight product channels and gravity ejectors on compressed air basis. Multi-Pemat ECO: With straight product channels on two levels for each module side, one ejector for 4 channels each. Watch SSI SCHAEFER A-Frame Automated Picking in action!